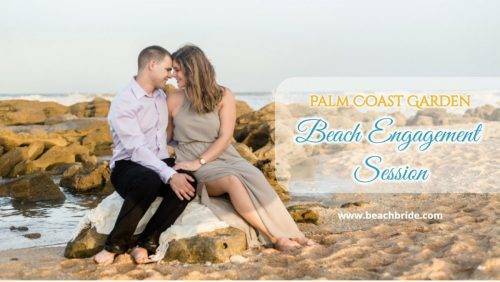 Everyone who loves the beach, raise your hands! 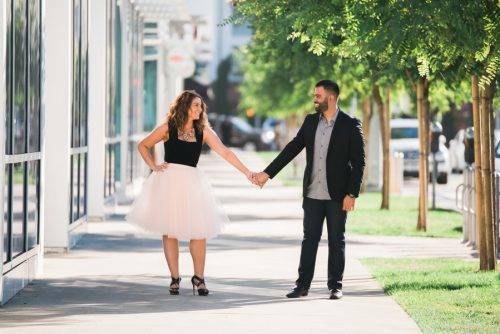 If you’ve got both hands up like I do, then you absolutely cannot miss out on this set from Britani Edwards Photography. 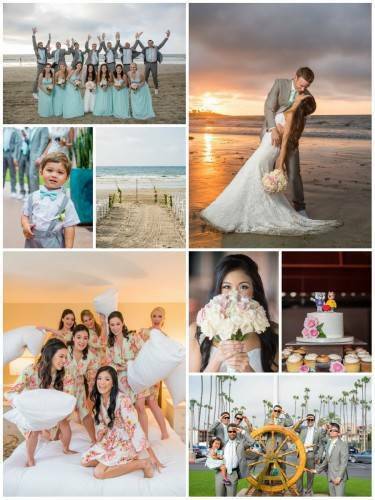 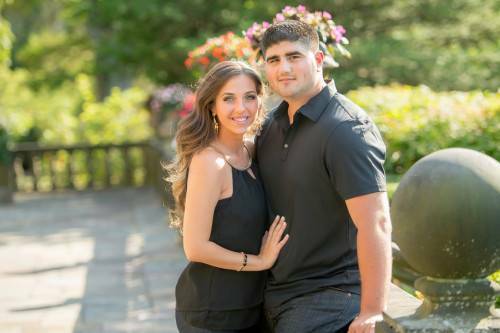 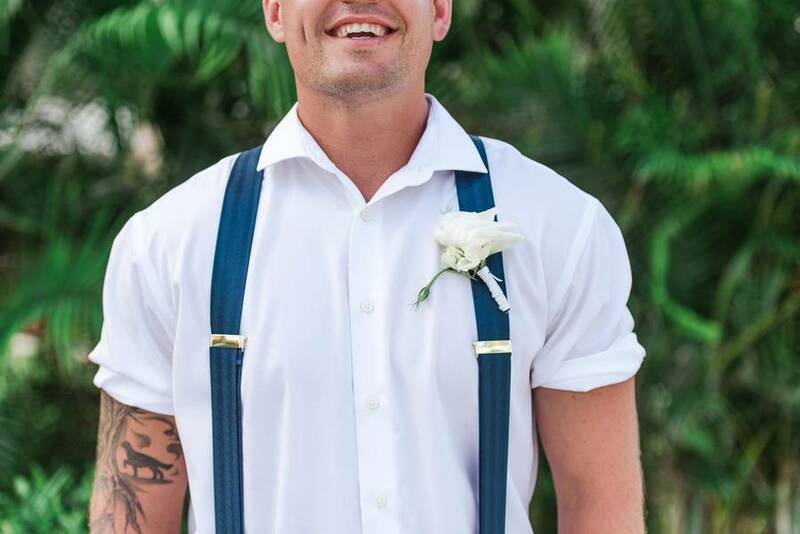 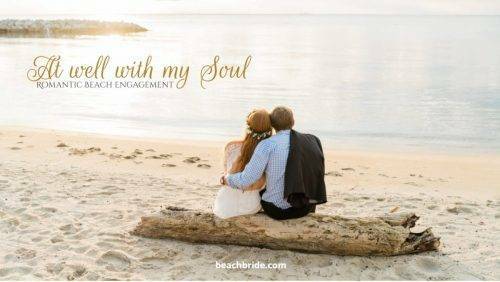 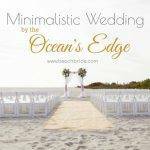 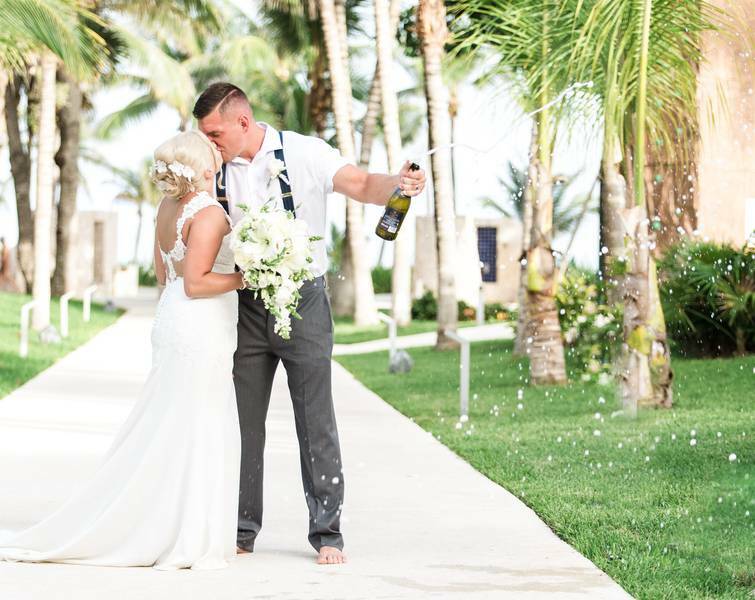 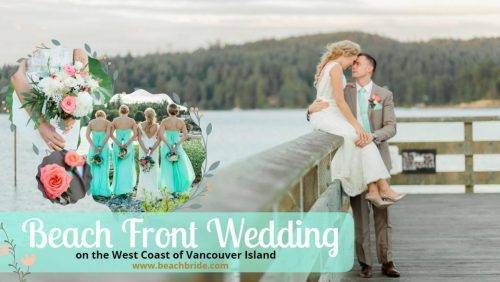 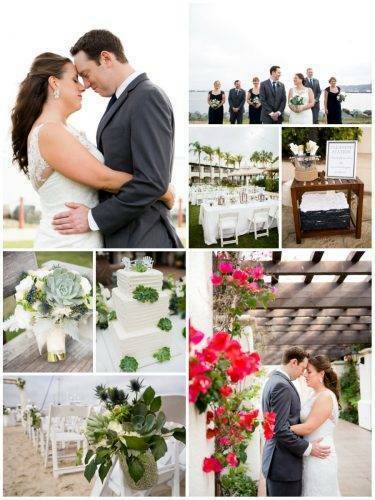 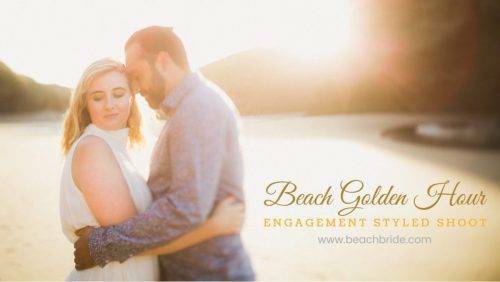 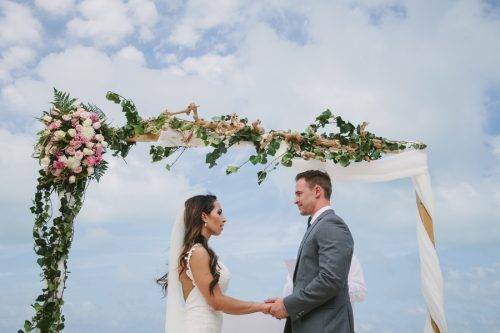 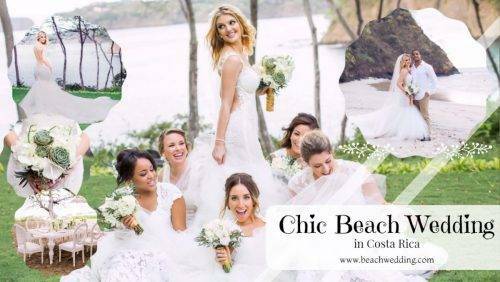 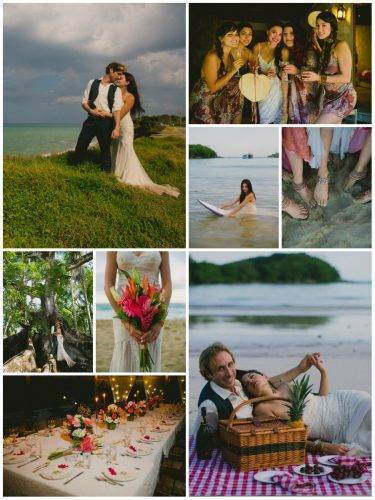 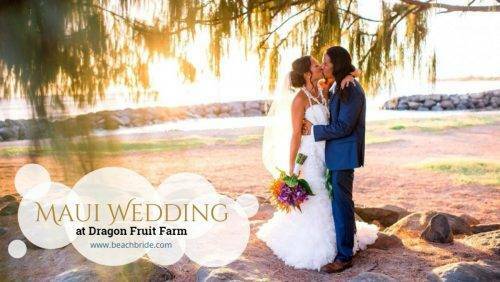 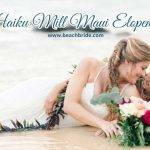 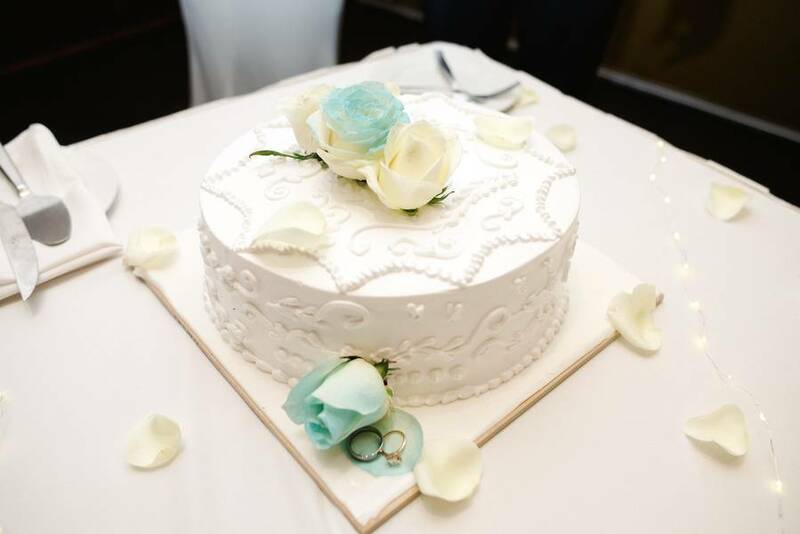 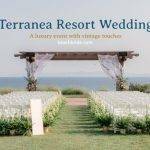 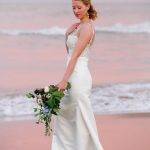 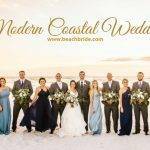 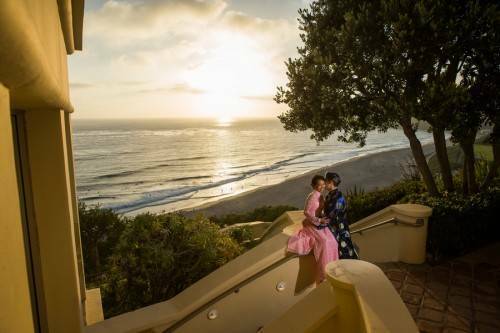 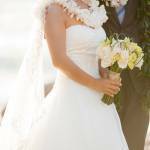 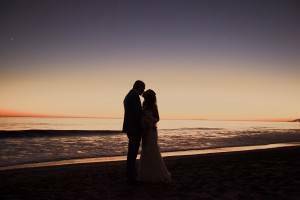 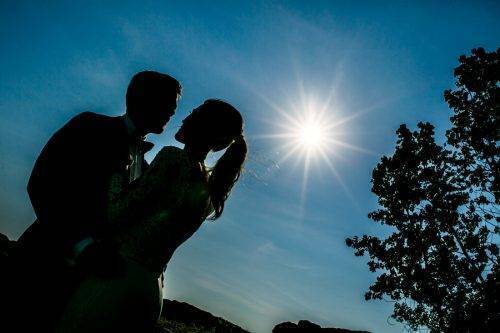 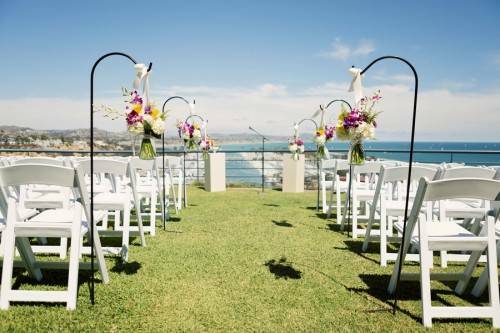 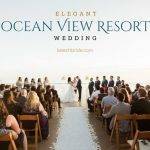 Cole and Destiny’s beach wedding mixed intimate ceremony vibes with stunning style! 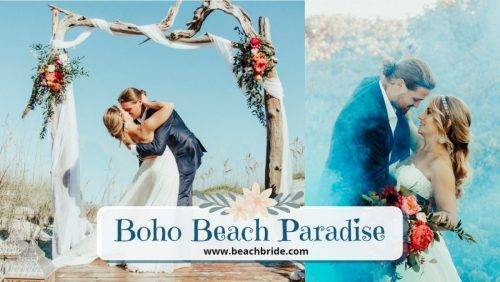 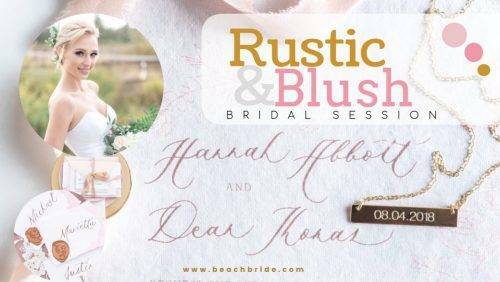 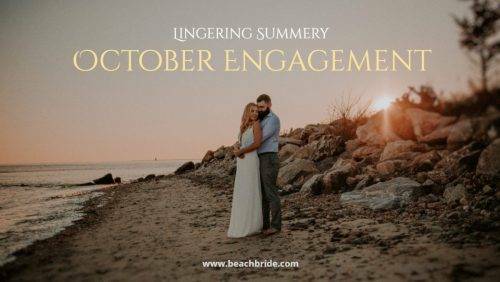 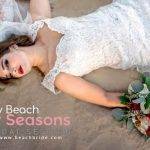 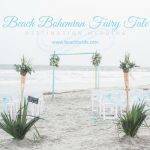 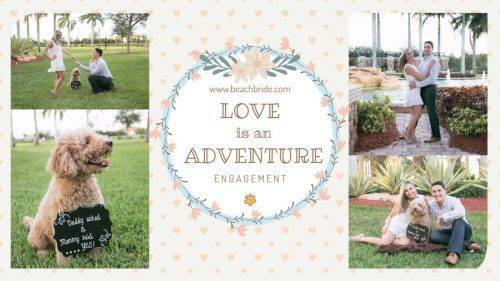 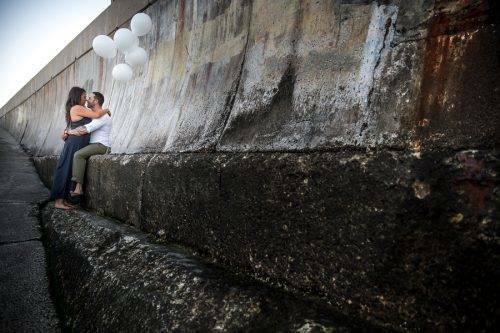 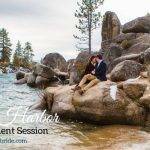 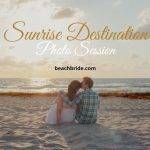 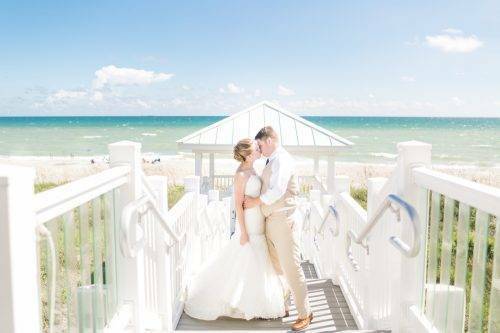 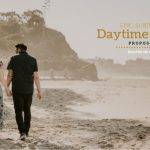 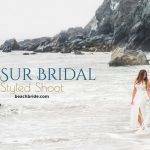 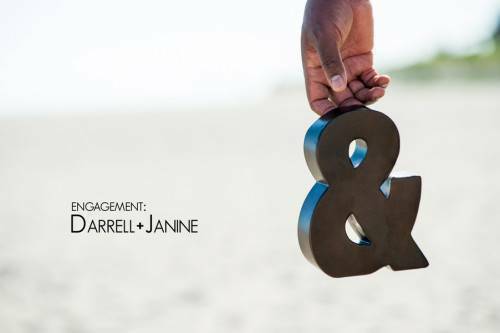 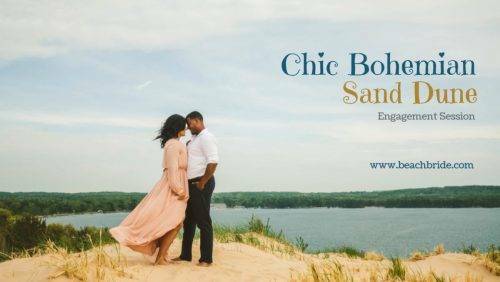 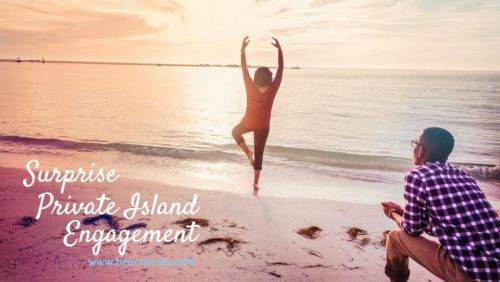 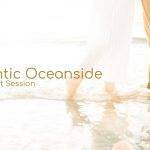 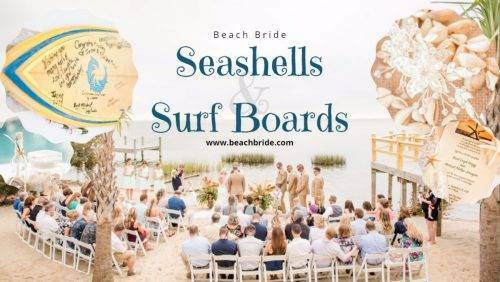 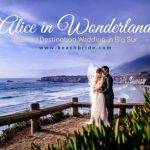 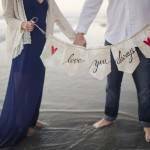 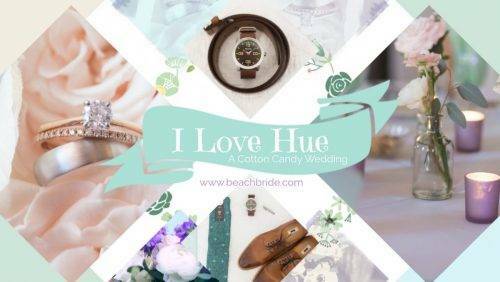 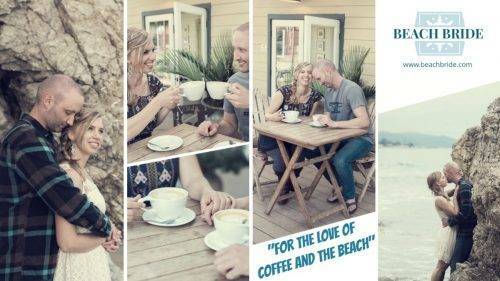 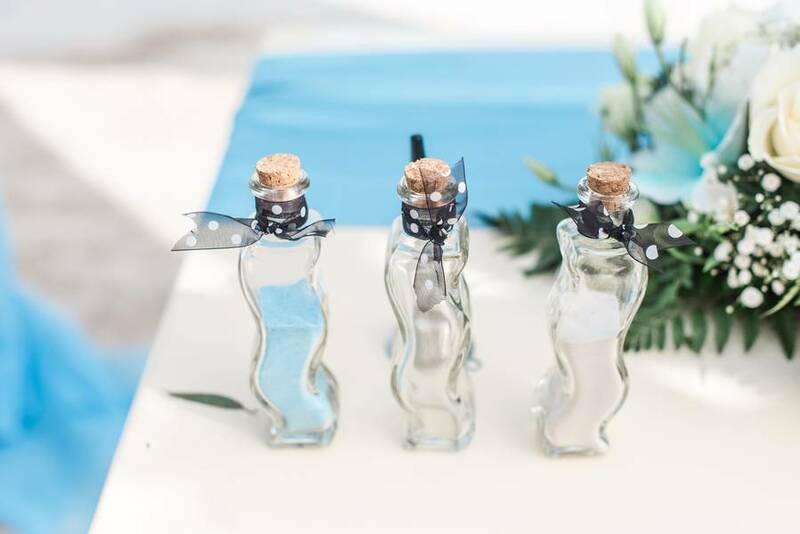 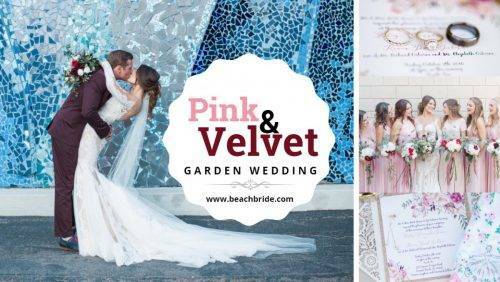 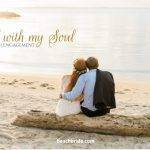 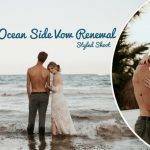 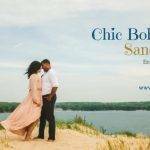 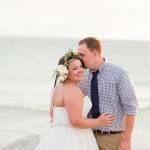 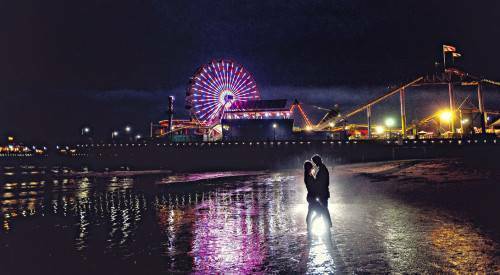 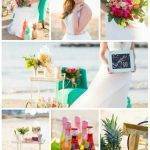 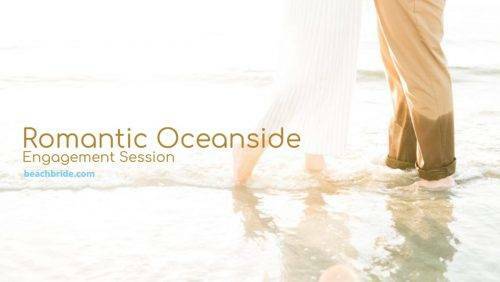 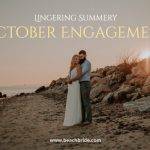 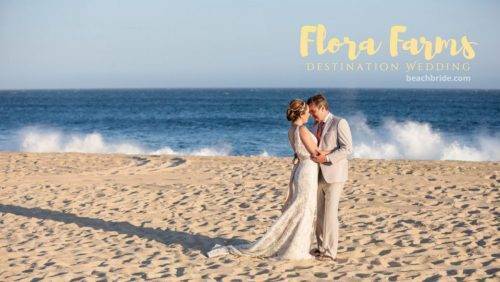 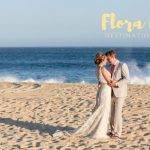 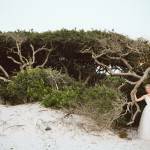 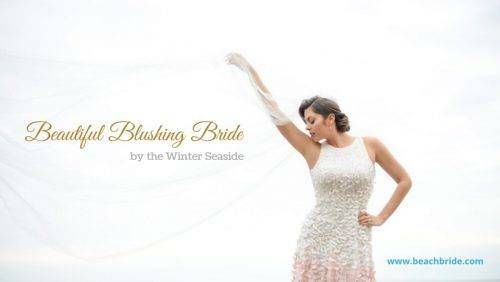 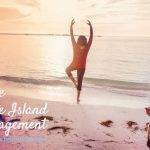 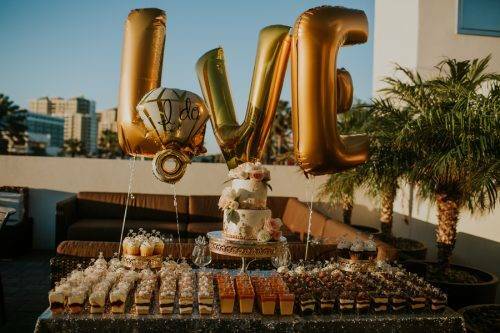 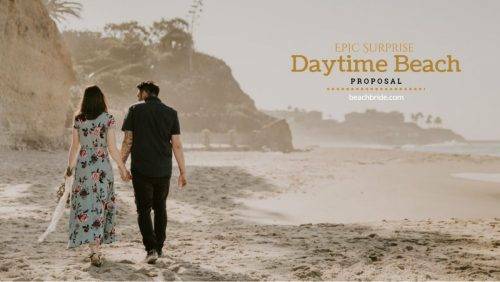 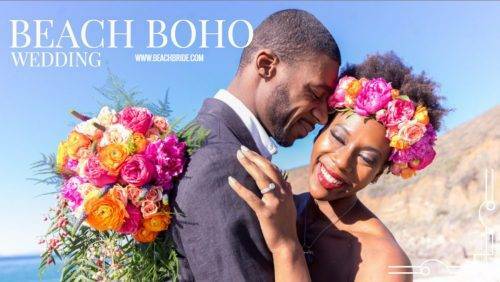 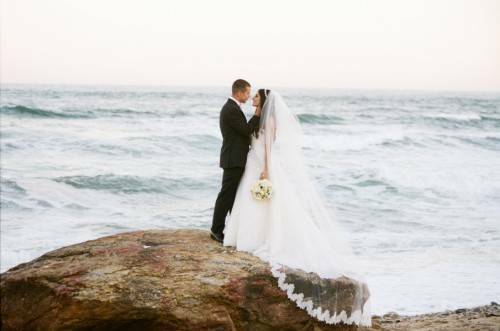 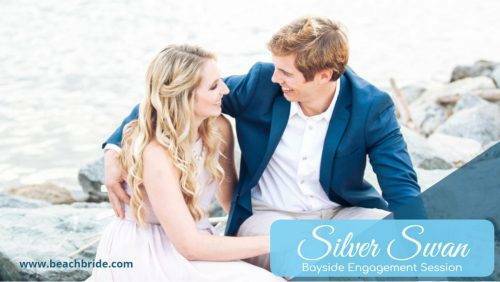 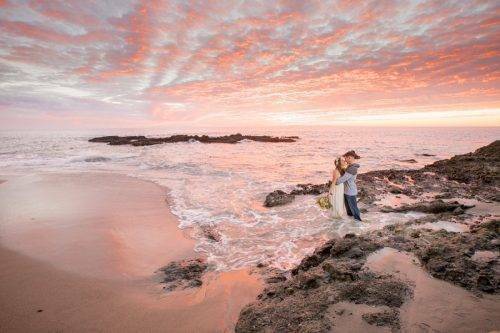 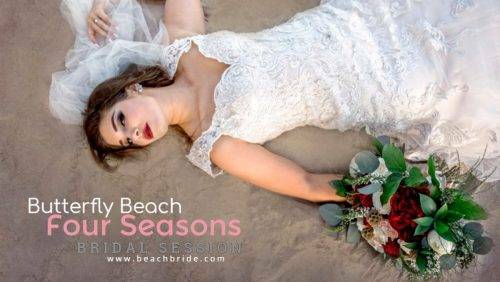 They successfully incorporated their love for the beach in their wedding – and the results were pretty awesome! 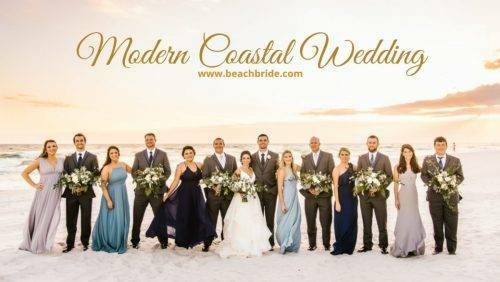 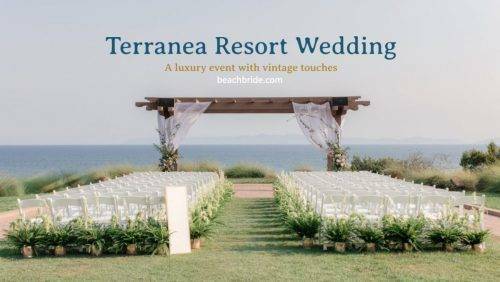 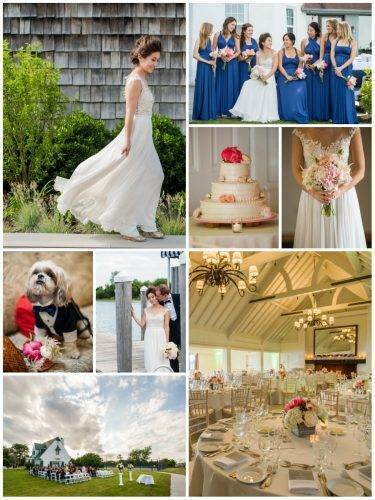 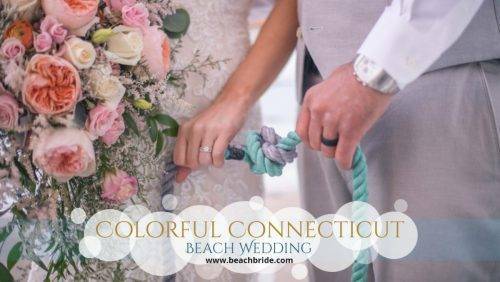 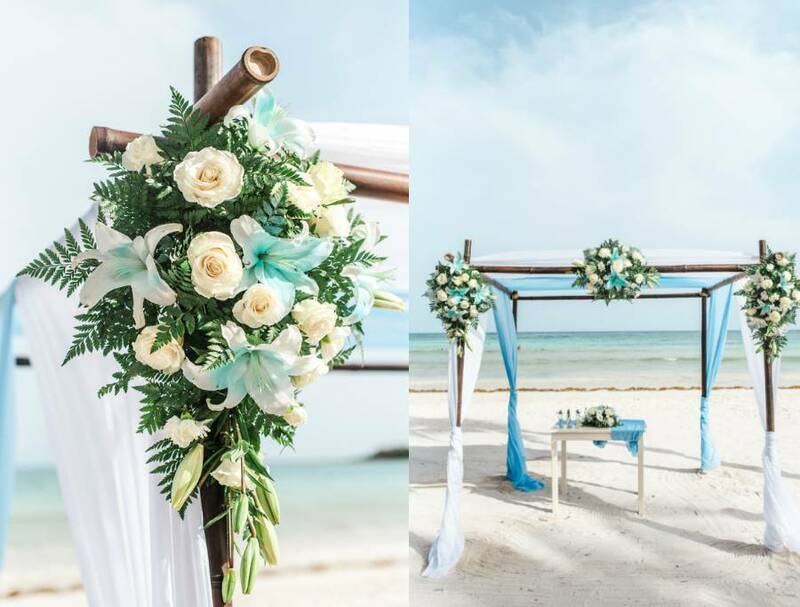 The sky color palette and local floral décor created a beachy atmosphere that highlighted the natural beauty of the location. 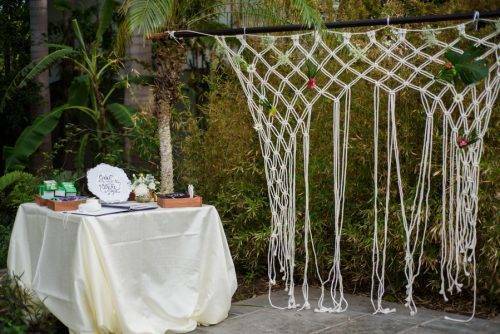 And for all the DIY aficionados out there, this would certainly be a treat! 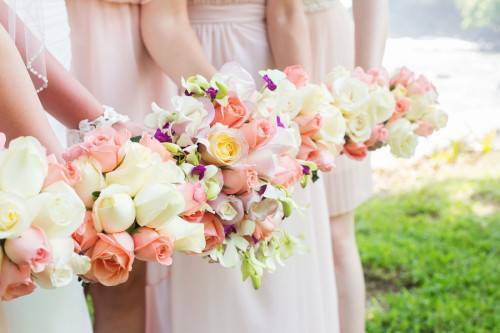 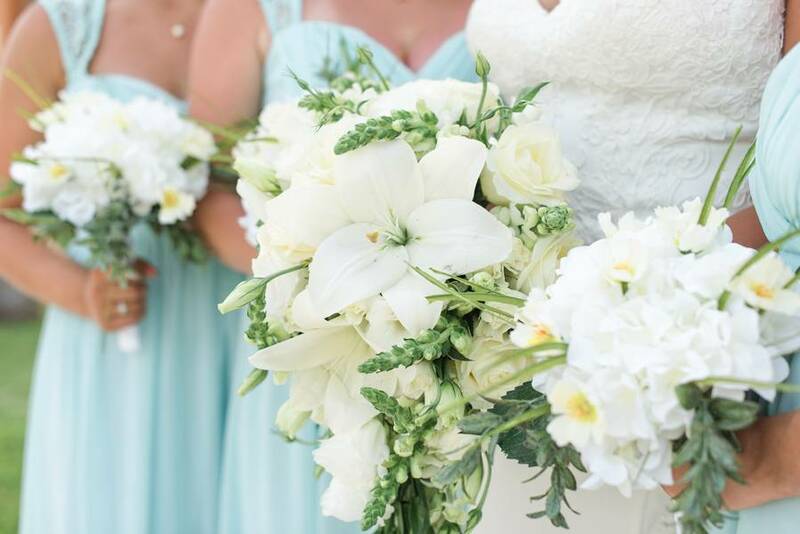 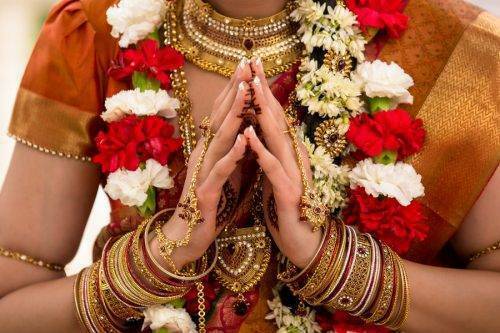 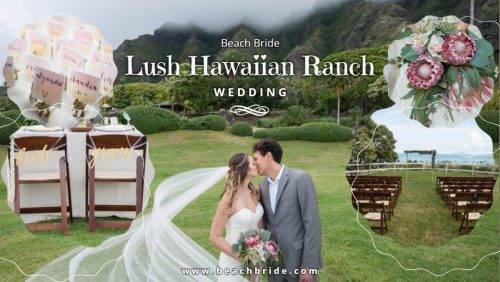 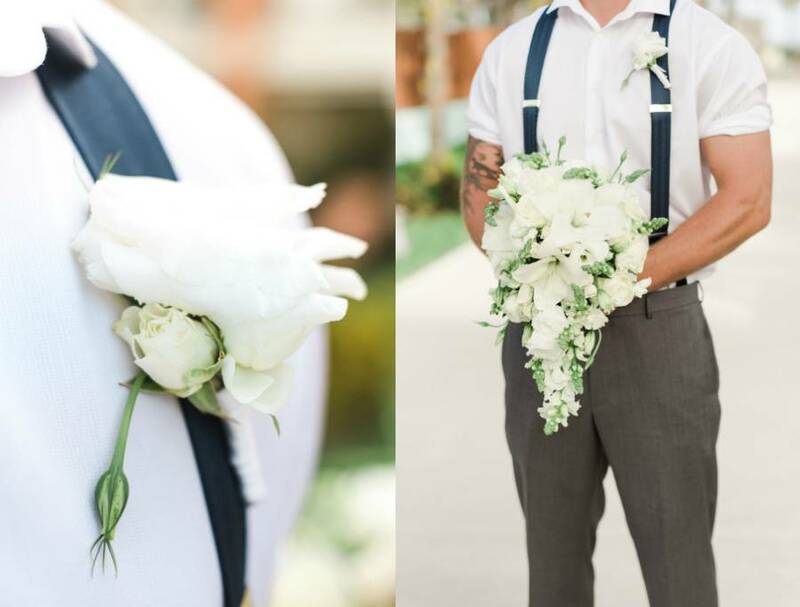 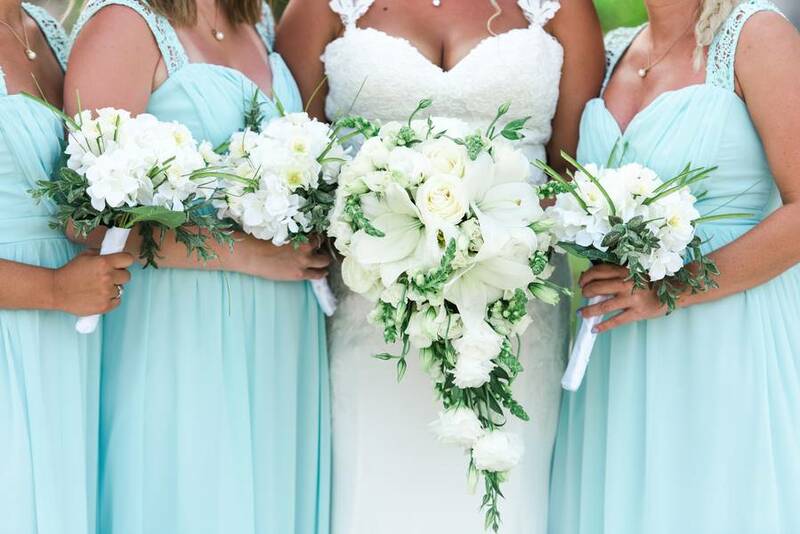 The bridesmaid’s floral bouquet and the greenery for the ceremony are all local to the area and arranged by couple’s family and friends. 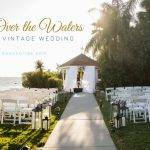 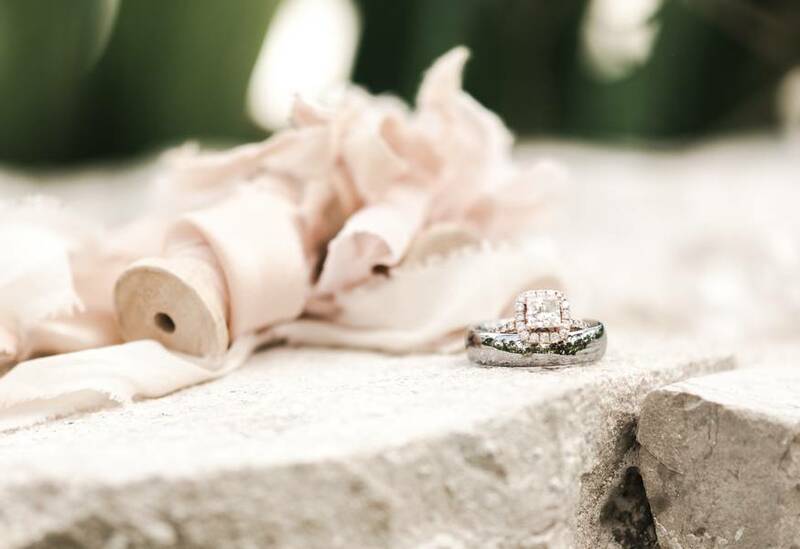 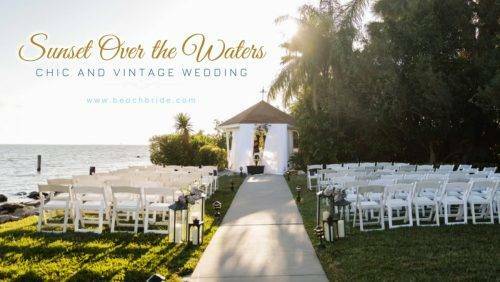 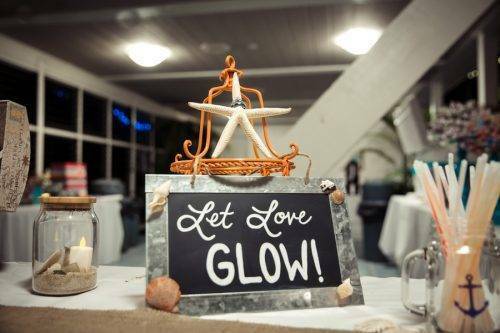 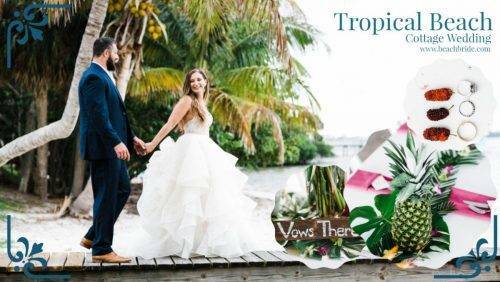 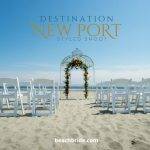 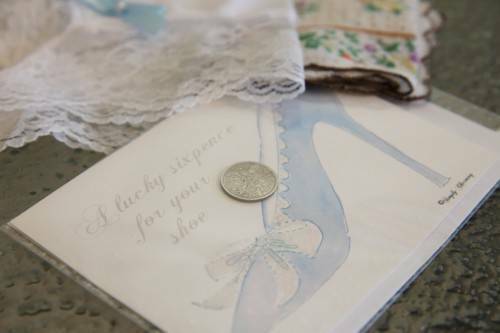 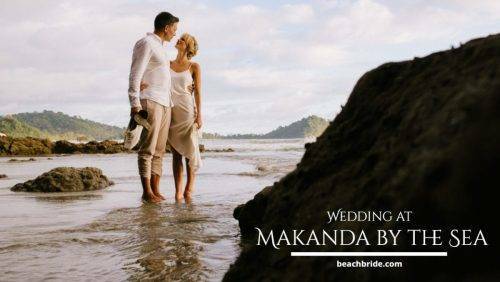 Other quirky details like the waterfront ceremony and the barefoot couple in the pristine Caribbean beach are definitely worth mentioning. 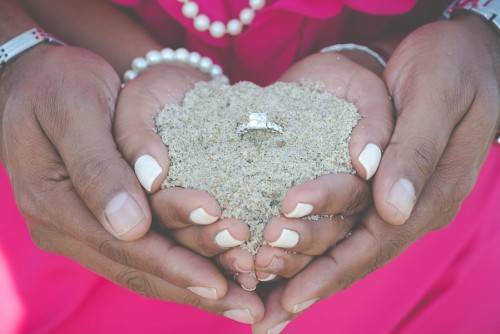 Ready to find the little gems? 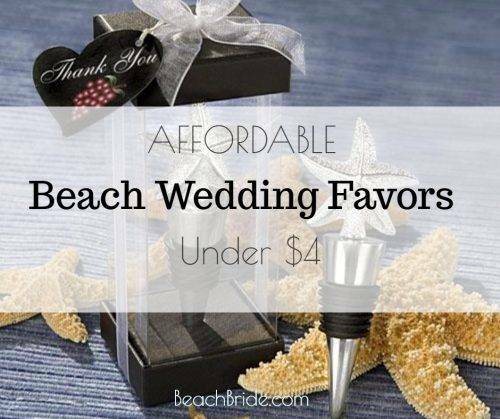 Don’t let me stop you and scroll down below! 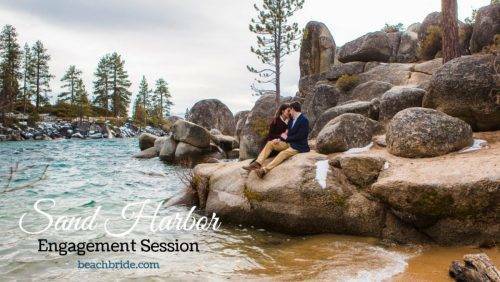 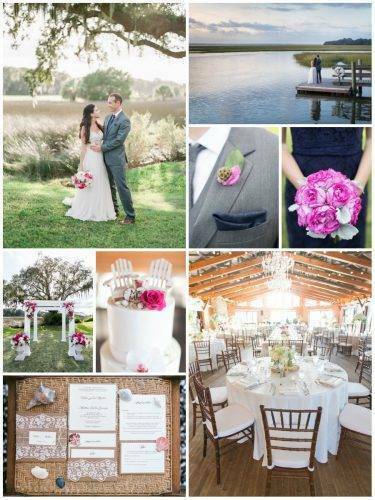 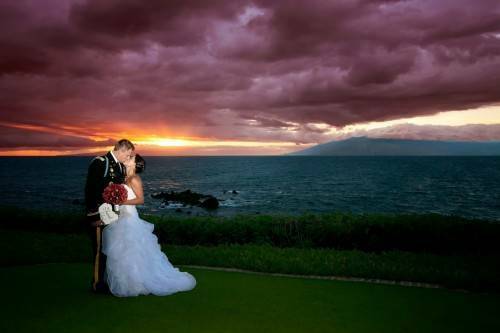 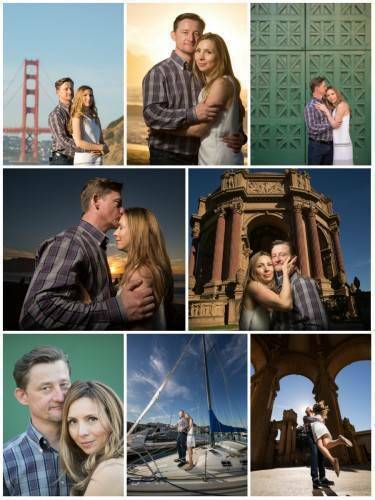 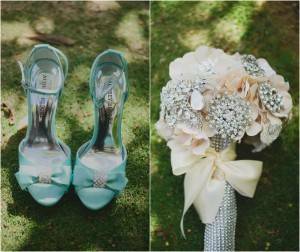 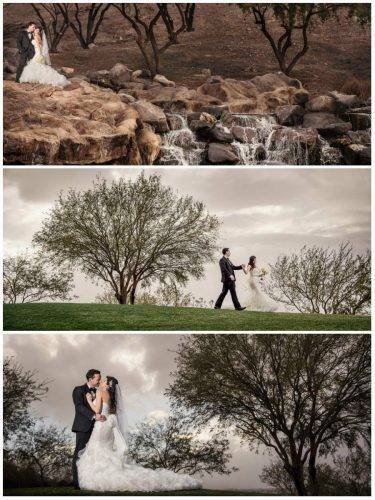 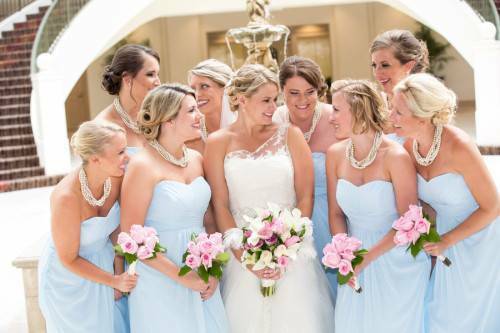 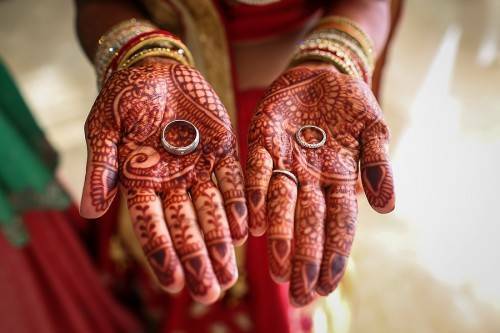 The inspiration for this wedding was the location. 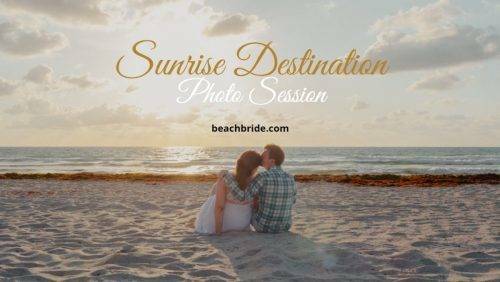 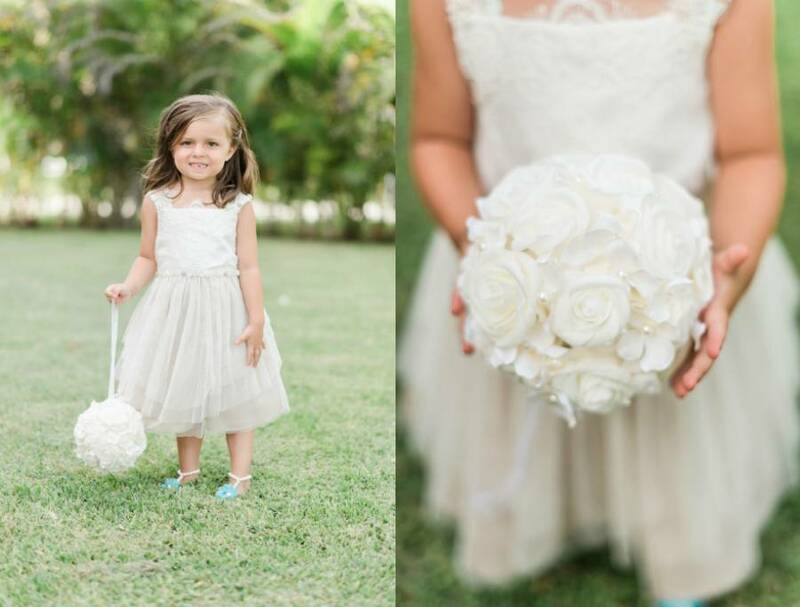 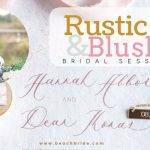 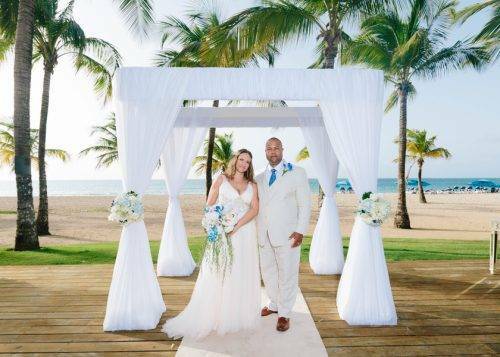 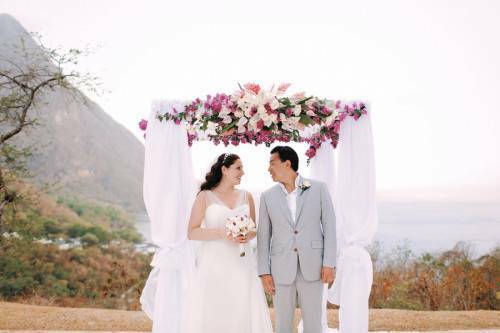 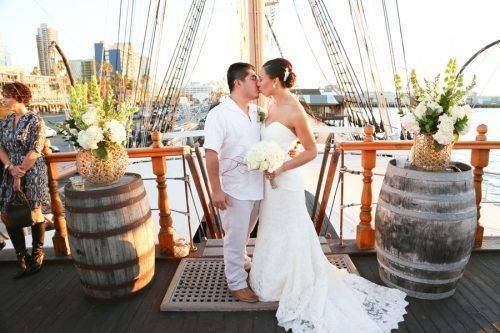 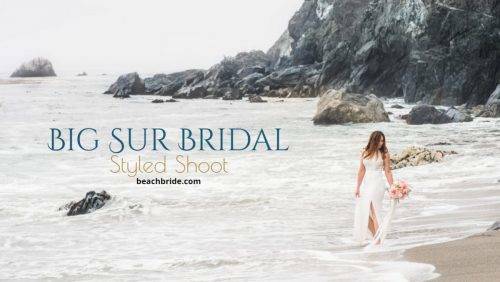 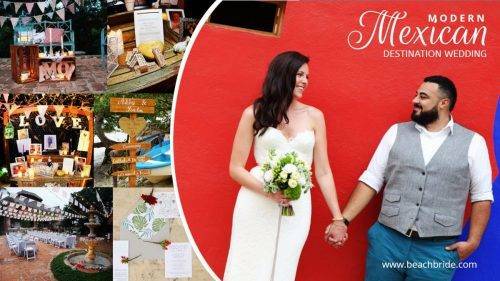 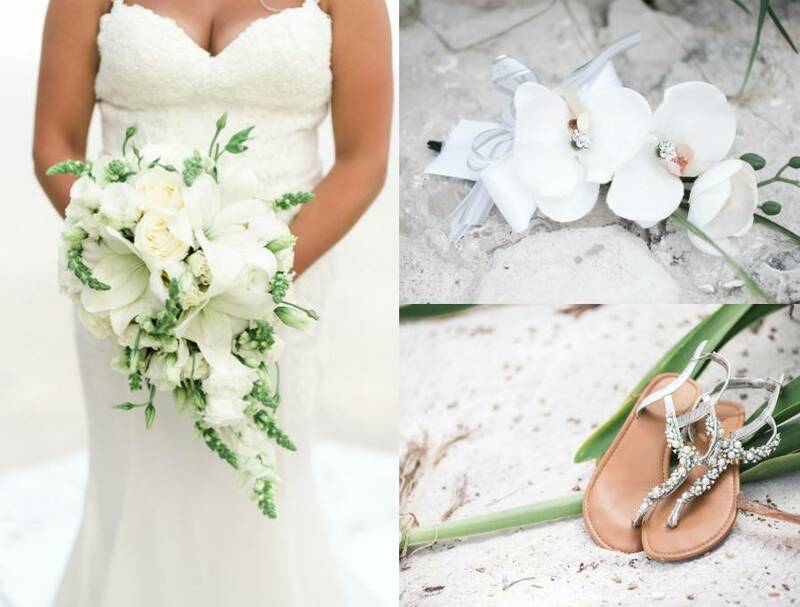 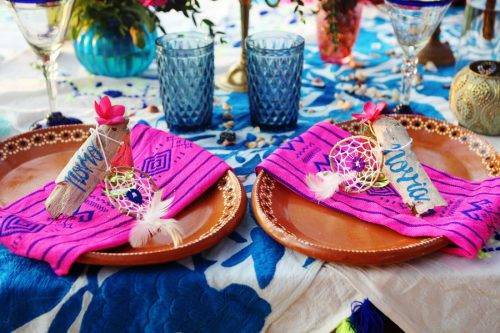 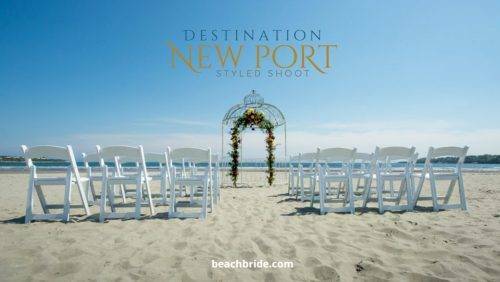 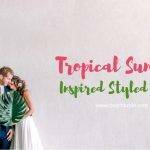 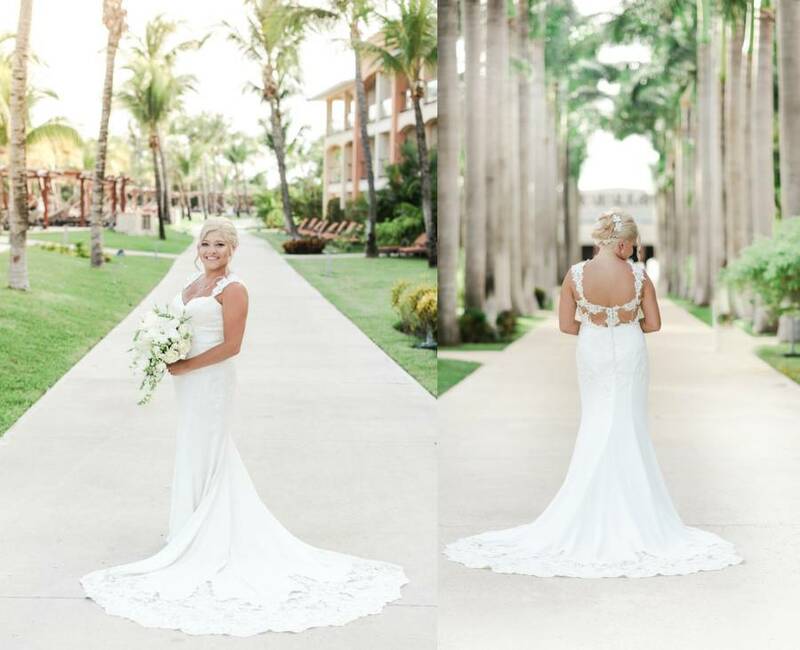 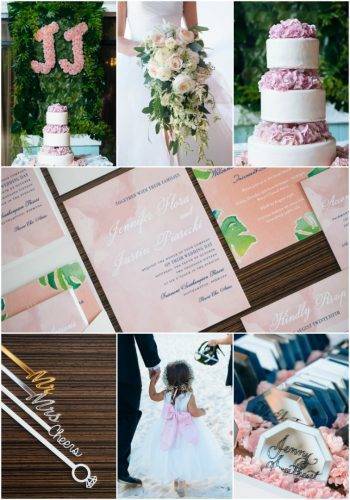 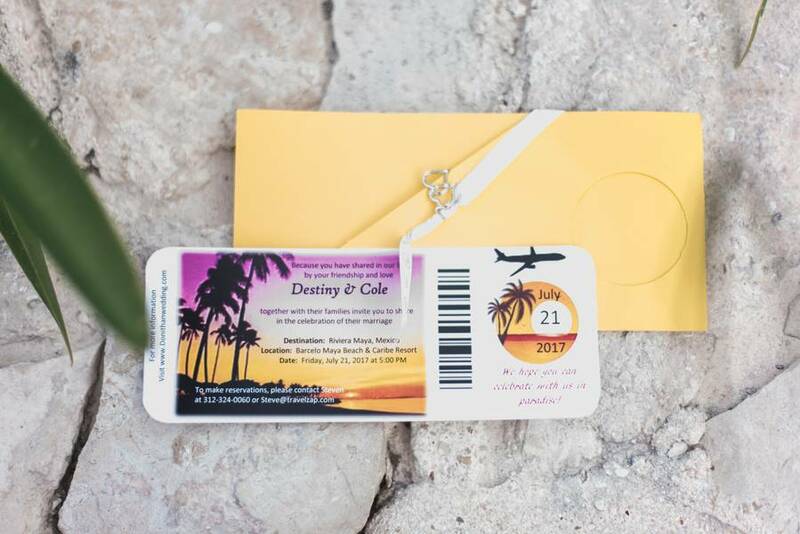 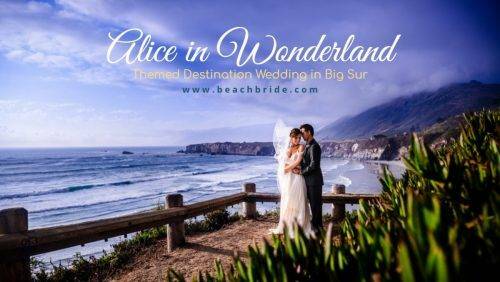 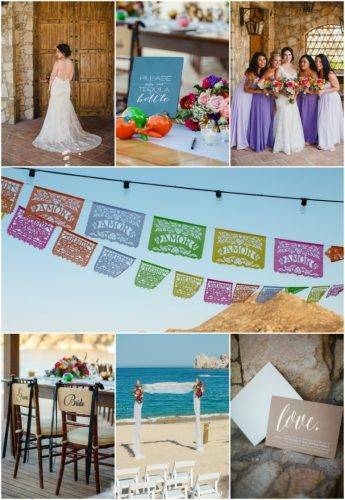 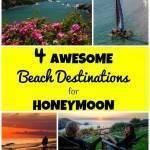 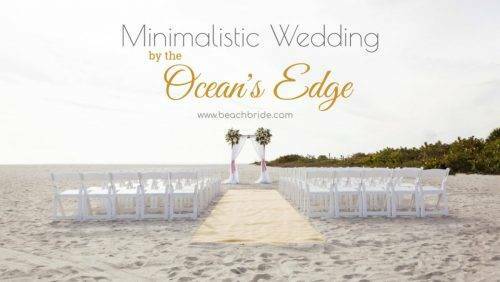 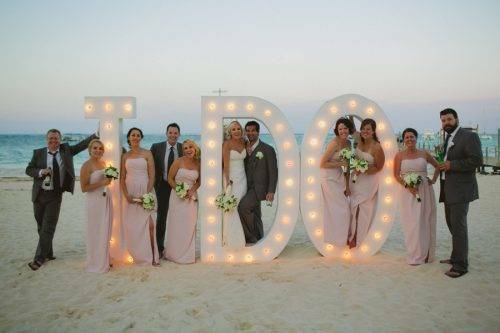 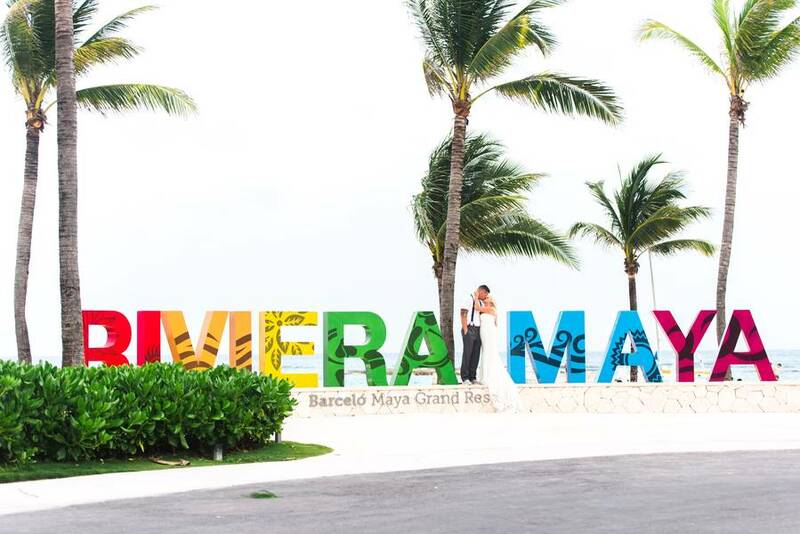 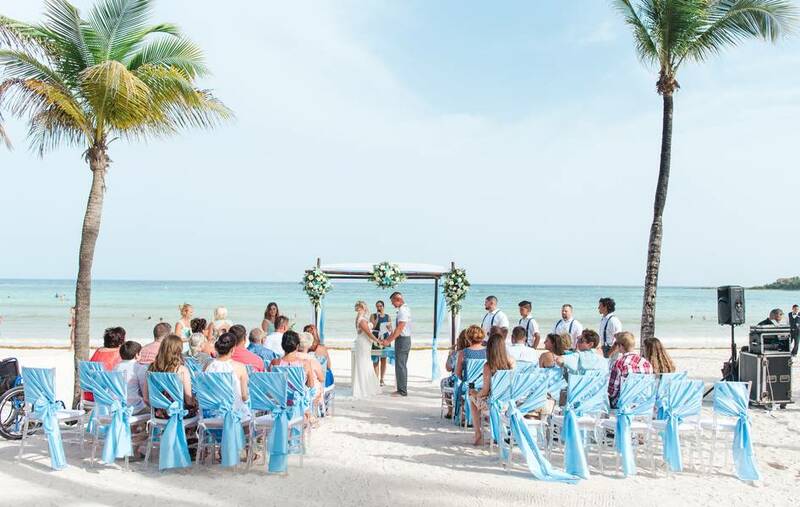 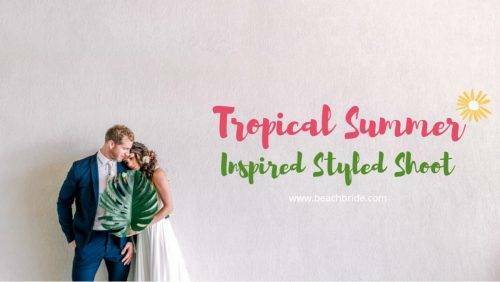 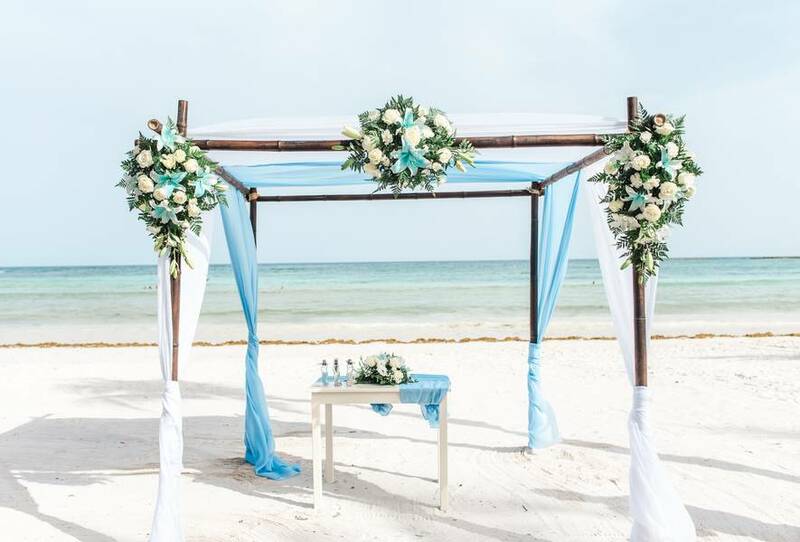 It was a destination wedding in Mexico so they wanted everything to be very beachy. 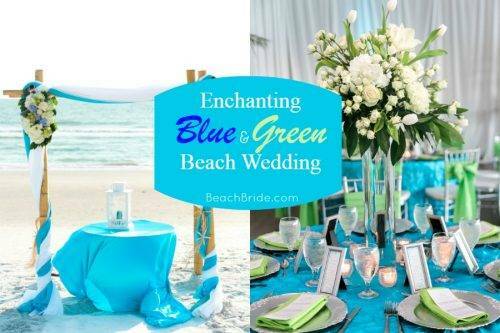 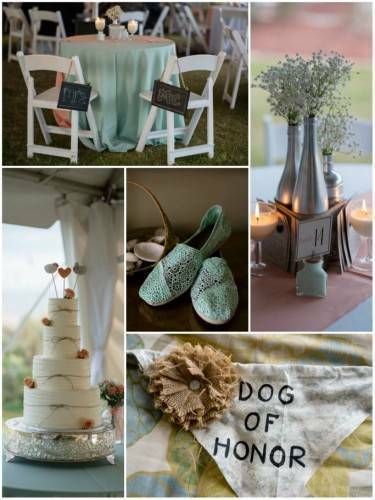 They stuck with shades of blue for the color palette, and local flowers for decor. 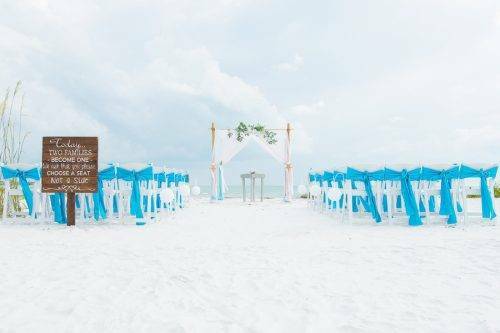 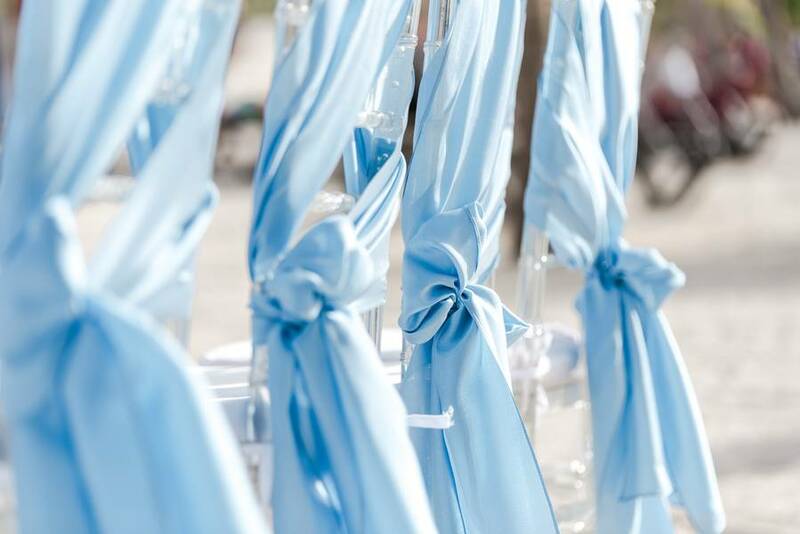 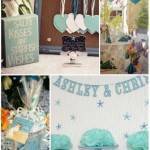 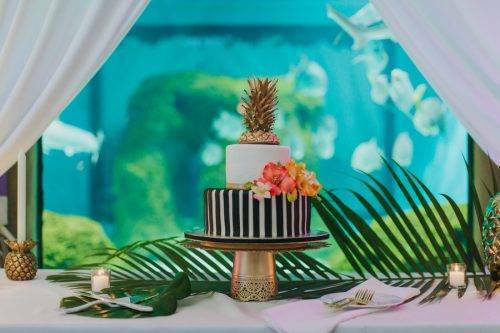 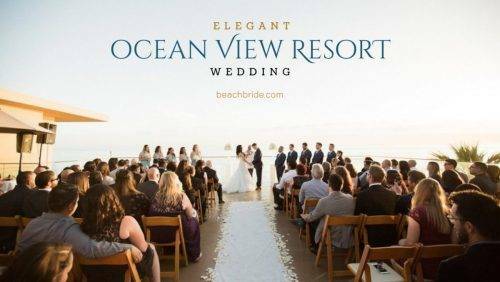 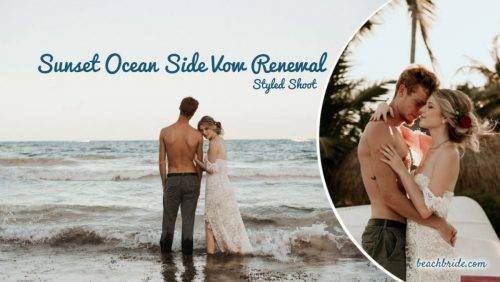 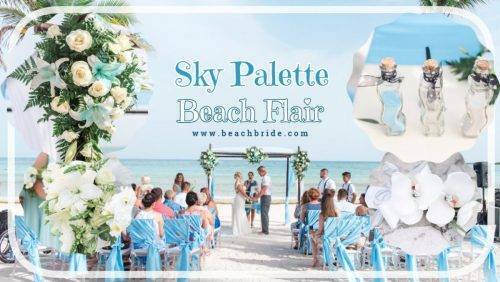 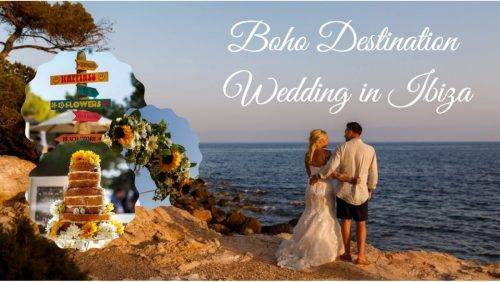 The ultimate sky themed beach wedding! 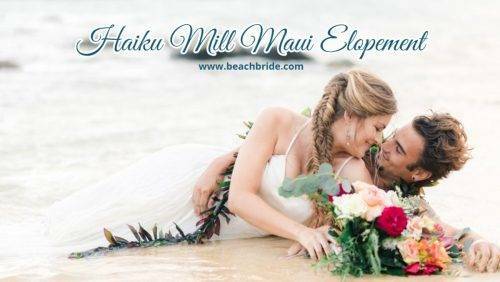 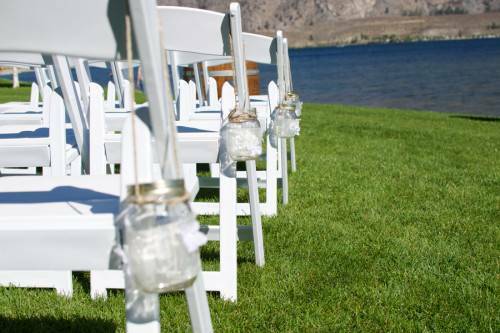 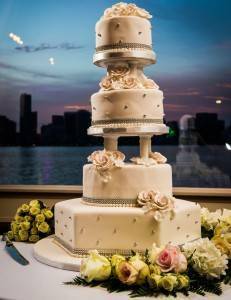 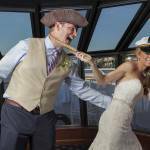 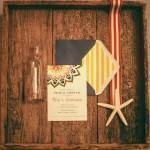 Even though this was a beach wedding, they wanted some traditional elements. 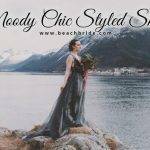 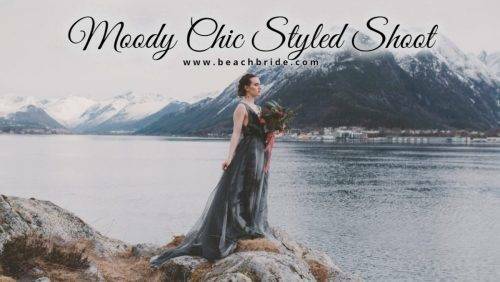 They noticed a lot of girls going with short sundresses but the bride still wanted the wow factor of a beautiful full length dress. 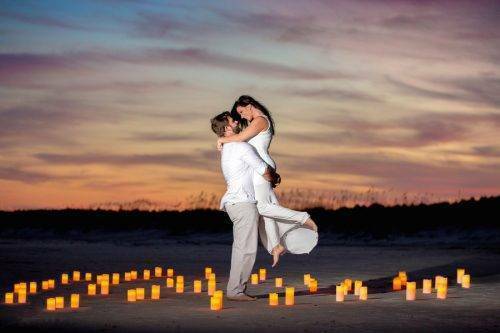 They tried to find something as light as possible knowing the weather was going to be 90 degrees or warmer. 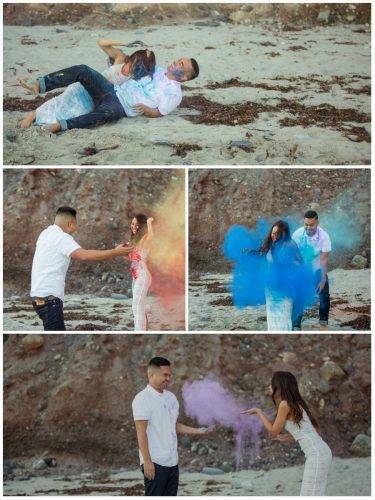 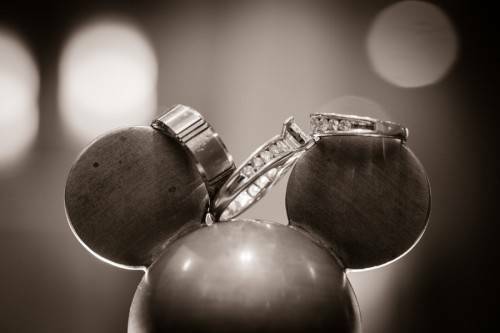 They did the same thing with the groom. 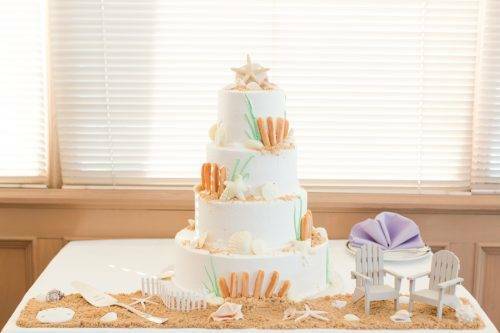 They wanted traditional with a beachy flair. 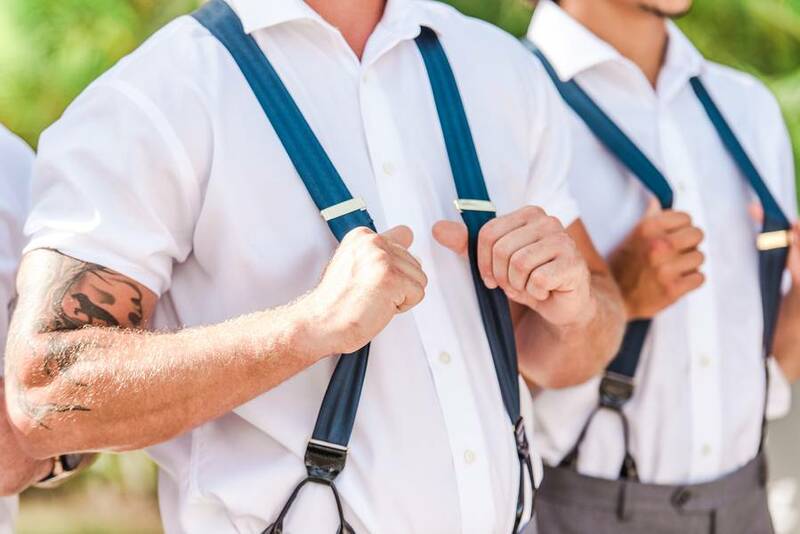 They didn’t want shorts or linens so we picked a gray pant and opted for suspenders instead of a tight tie or jacket. 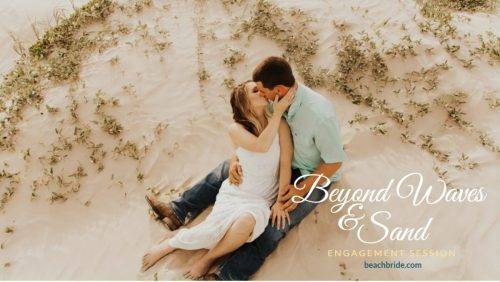 Both of them went barefoot to add to the beach theme. 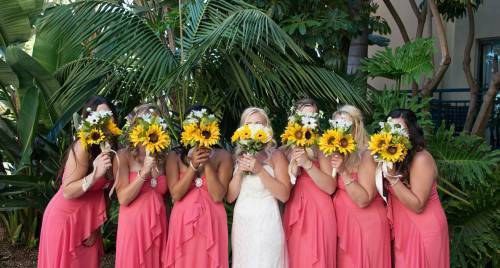 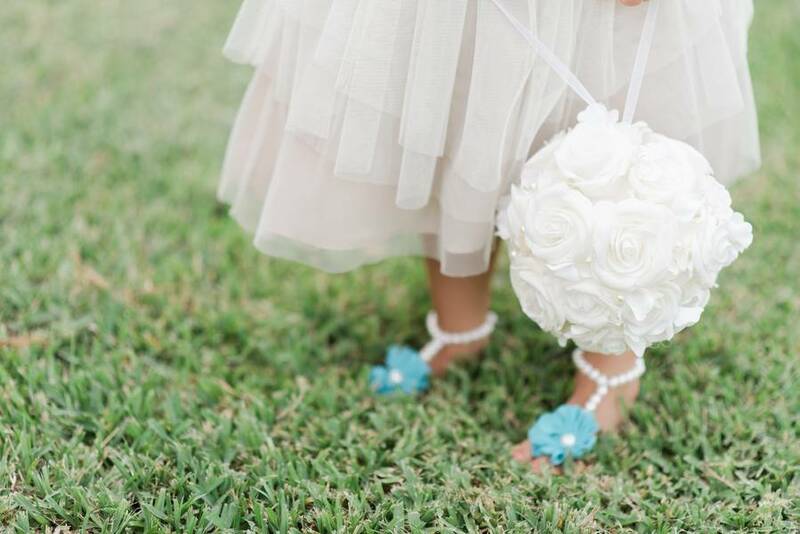 The bride made the bridesmaids bouquets which were constructed by using flowers that were all local to Riviera Maya.